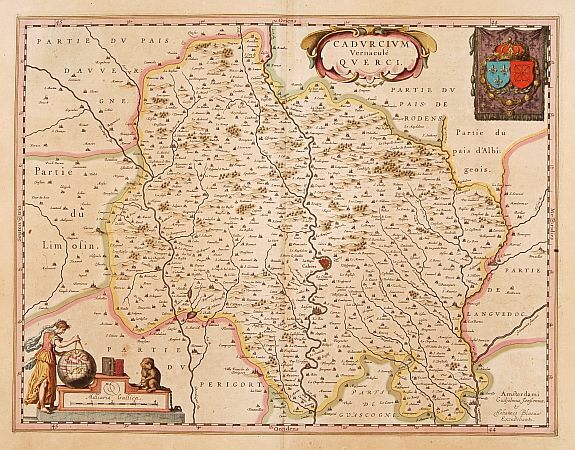 352 BLAEU, G. Cadurcium vernacul� Querci. 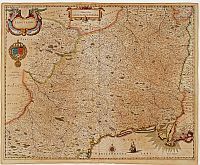 Amsterdam, 1635. Beau col. ancien. Papier l�g�rement jauni. 380 x 490 mm. 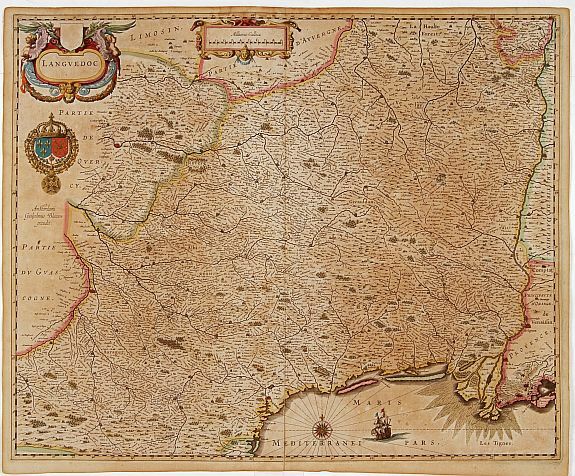 � Detailed map of a province of France by one of the most famous map publisher. Centered on Cahors. In the lower left corner, a coloured scale cartouche surmounted by a monkey, some books and a female figure holding the surveying instruments. In the upper right corner, beautiful royal arms. 353 BLAEU, G. Languedoc. Amsterdam, 1635. Beau col. ancien. Papier l�g�rement jauni, petite fente en bas le long du pli central. 438 x 538 mm.